What is the Paleo Diet? Should I try it? | What is the Paleo Diet? Should I try it? – oh, that's tasty! What is the Paleo Diet? Should I try it? 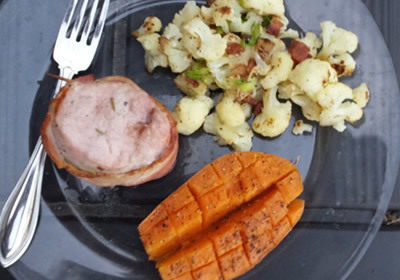 Are you wondering about the “Paleo Diet,” and why people are recommending it? Defining Paleo is a bit complicated, but why proponents are recommending it is easier to answer, so let’s start with that. Another reason I think that’s a good place to start is because the diet itself sounds pretty extreme, so it’s helpful to know up front that it has the potential to do some pretty amazing stuff to your health. I’ve been interested in the food/health relationship for years. Due to my own hypoglycemia, PMS, and depression, as well as my mom’s Type 2 Diabetes and Alzheimer’s, it’s a topic I’ve logged hundreds if not thousands of hours on, reading pertinent books, medical studies, and blogs. So I’ve read about a lot of different diets over the past 10+ years: low fat, low carb, South Beach, Atkins, AMA, ADA, and more. And most diets will initially cause weight loss, and people feeling better overall, and sometimes (but not always) causing some positive effects on their cholesterol and blood sugar numbers. When I first looked into the Paleo diet, I thought, This sounds absolutely crazy! Both the assumptions on which it’s based and the restrictions it requires sounded like complete nutty-nutso-nonsense to me. However, because I was trying to avoid refined sugar and artificial sweeteners, and I knew that anything Paleo would be completely free of those things, I often included the word “paleo” when googling for recipes. And as I read more Paleo blogs, I started noticing something I’d never seen with any other diet before. People were greatly improving — and in some cases actually reversing the symptoms of — diseases like rheumatoid arthritis, Hashimoto’s (a thyroid disorder), irritable bowel syndrome, and the kingpin disease that drives so many other diseases: Type 2 Diabetes. Some people were reversing lesser issues, too — like adult acne, brain fog, and minor joint pain. So I delved into the subject some more. And although I still think the Paleo premise is shaky at best, it’s undeniable that there’s something about this diet that’s making differences in people’s health like no fad diet in the last half-century. 1. Why is it called Paleo? It’s called Paleo because its origins are based on the belief that the human race was far healthier when we were hunter-gatherers, and that as soon as we settled down and became farmers — incorporating grains, beans, dairy, and alcohol into our diet — our health began to decline. And furthermore, that our diet has changed more quickly than our bodies can evolve to keep up with the changes. So the Paleo Diet attempts to recreate, as much as possible in the constraints of our modern world, a diet that mimics that which our “Paleo ancestors” would have eaten. Not all scientists agree on all those points, but we’ll get to that in a bit. 2. What does the Paleo diet restrict and what does it allow? 1. All refined sugar and artificial sweeteners. Some people allow honey, some also allow maple syrup. But both only in limited quantities. 2. All legumes: all mature beans — including soybeans — and peanuts, and anything made from those plants. Immature beans like green beans, snow peas, and sugar-snap pea are allowed. So no peanut butter, no hummus, no refried beans. 5. All dairy except for ghee — which is butter that has been clarified, with the milk solids removed. There is one branch of Paleo called “Primal” which allows cheese. 6. Processed meat that’s been modified with modern chemistry such as nitrates, or had sugar added, like most bacon and deli meats. 7. Modern industrial-made vegetable oils, including soybean and canola. To keep this explanation simple, I’m not going into the reasons behind why these are disallowed. But suffice to say there are two sets of reasons: one that has to do with why our ancestors (probably) didn’t eat these, and one that has to do with how these food substances react with the biology of the human body. 2. All vegetables allowed, other than corn (which is really a grain). White potatoes are allowed, but not as fried french fries or chips, and only in reasonable quantity. 3. All unprocessed fats and oils, including olive oil, non-hydrogenated coconut oil, avocado and avocado oil, some nut oils, as well as organic (hormone- and antibiotic-free) animal fat such as lard and duck fat. 1. Fruits in limited quantity. Fruit juices and dried fruits may also be used as sweeteners, but only in limited quantities. 2. Coffee and tea, as long as it doesn’t have sugar, sweetener, or cream added. Because the Paleo approach is sometimes called “the caveman diet,” people often get the impression that it’s a very meat-heavy diet. While there are many different proportions showing up on the plates of various Paleo adherents, it’s actually, in most cases, a very vegetable-prominent diet. Each meal consists of a serving of meat or eggs; a serving size is about the size of the palm of your hand. Each meal should also contain two — or better yet, three or four — different kinds of vegetables; flavor is added with healthy fats, and any seasonings. (And the fats are necessary; not optional.) Add a bit of fruit, if you want, as a condiment or small dessert. 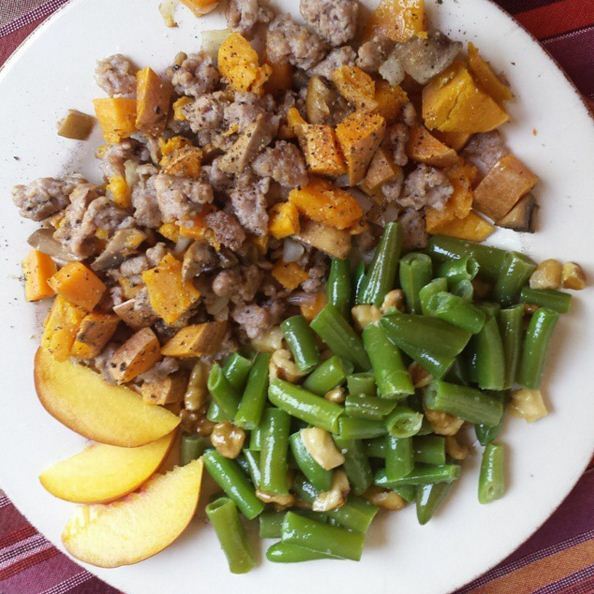 For more visual examples of what a Paleo plate looks like, check out my Instagram feed. 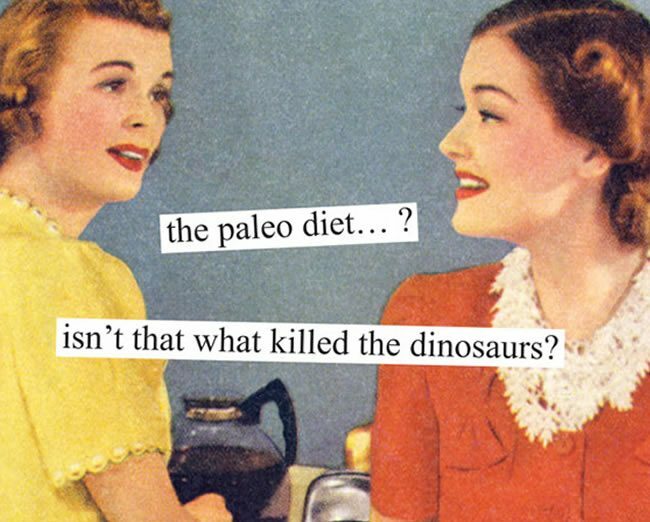 What’s wrong with the Paleo diet; what’s right. So if it’s based on such shaky science, why pay attention to it at all? The Paleo proponents may have the reasons partially or completely wrong, but mounting evidence suggests that there is something (or some things) about our modern diet and/or lifestyle that’s making us sick in new ways, to greater extremes, and at younger ages than ever before. So why does Paleo work? – We eat more carbs and sugar, and spend far fewer calories in energy burned. Carbs are your body’s fuel and they’re not evil; they’re very important to your health. But they need to match your activity level! 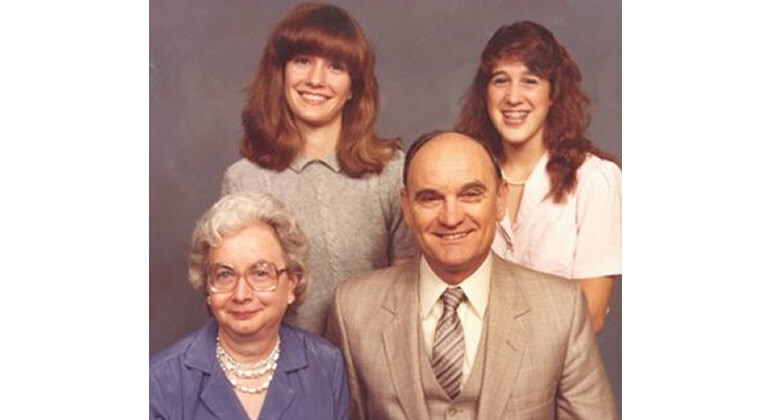 My farmer grandparents were literally on their feet from morning to night — other than when they were eating meals, sitting in a tractor, or sitting down to milk a cow. Today, the vast majority of us spend 80% or more of our day sitting in front of a computer or a TV. – Putting a finer point on it, we eat a lot more corn and sugar. You’d be amazed to learn how many foods have corn hidden in the form of corn syrup and corn starch. Catsup, mayonnaise, soft drinks — both pop and “healthy” fruit juice drinks. Hamburger buns, the coating on french fries, coating on pre-shredded cheese, gravies and sauces… the list is virtually endless. Also, animals raised for industrial use are often fed large amounts of grain, which affects their health in ways that are passed on to us as well. So, when you’re eating corn-fed beef, you’re eating yet more corn, in a way. – Sixty years ago, most food was made in the home from whole food ingredients. The vast majority of what most Americans eat today is made in factories, whether from restaurant chains or grocery store convenience foods like cereal, granola bars, flavored yogurt, frozen meals, bread, etc. And factories usually strip out the fat and fiber that makes food go bad more quickly, or so they can label it “low fat,” then substitute cheaper, more shelf-stable stand-ins, many of which are themselves produced first in a lab. – Our food has been modified by manmade chemistry. Whether that’s artificial sweeteners, genetically modified plants, plants sprayed with pesticides, or animals given antibiotics with their feed to fatten them quicker, man has been messing with our food in increasing degrees, and much of what is done to it has not been adequately tested. Are all convenience foods bad for us? I’m not saying they are: only that the rise in obesity, diabetes, and the diseases it exacerbates — heart disease and Alzheimer’s, for starters — have greatly increased in the last 50 years. Along with infertility, autoimmune diseases, and new diseases no one’s ever heard of. And these have especially ramped up since the 80’s, when the popular media began telling us that dietary fat and cholesterol are bad for us. I think what makes Paleo work is you’re forced to quit your reliance on convenience food & return to whole foods. And we truly are what we eat. What we eat is broken down and reassembled, like so many Legos, into our body parts and body chemistry. (More about that in my Miraculous Factory post.) So it seems likely that there are one or more things we’re doing to our foods that are at least a factor in modern American health trends. Where I’ve landed is this: I’m skeptical of the whole “Paleolithic” premise, but what’s clear to me is that, while 100 years ago, people died frequently from infections that are now mostly eradicated by antibiotics and vaccines, the “diseases of civilization” were far less prevalent. 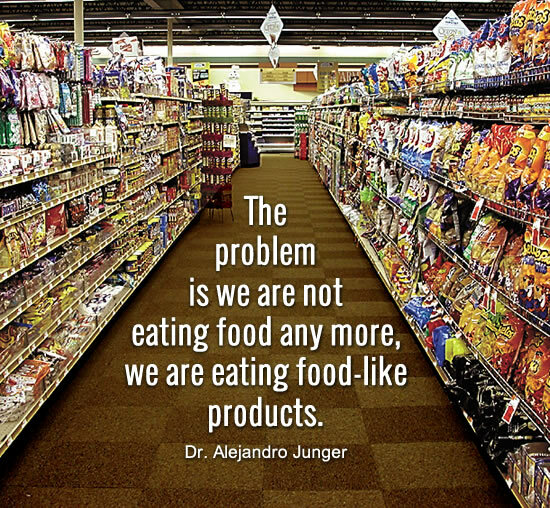 Again, I think it’s the industrialization of our food and “food-like” products that are probably to blame. I’m not sure everyone needs to. It depends on your health issues AND your personality type. 1. 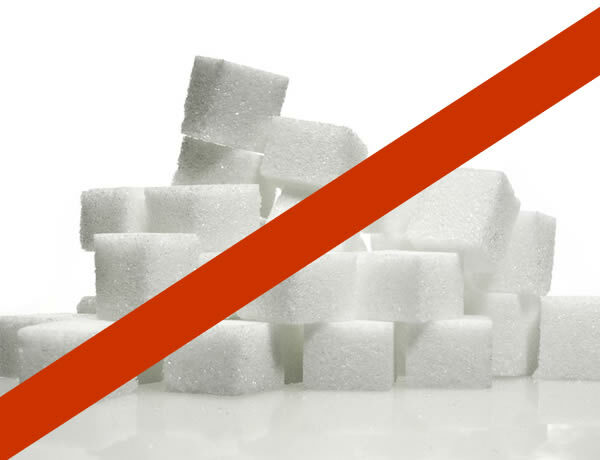 Cut back on and then completely cut out sugar and artificial sweeteners. This includes sugar in all its disguises. 2. Cut back on caffeine. 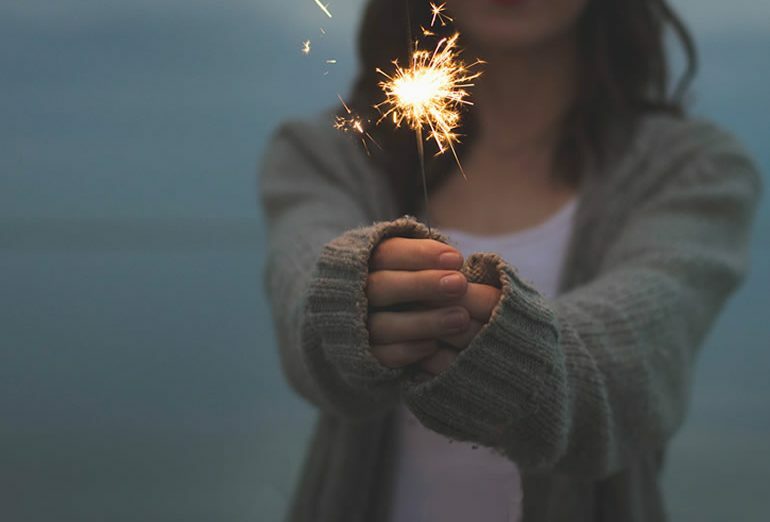 This will improve your mood and sleep, which will help everything else. 3. Add more vegetables to all your meals and snacks. They are important for healing both the physical/mechanical and the chemical parts of your body that drive your health. At the same time, add in more healthy fat. Indisputably healthy fats: olive oil, avocado, salmon and other fatty fish. Eggs and butter are okay for most people, too. Also, if you can afford hormone- and antibiotic-free meat, animal fat is a great source of nutrients, and not the evil it’s been labeled for years! A. Cut out all white wheat products and replace with 100% whole wheat products. (Check the label. “Contains whole wheat” or “whole grain” means nothing unless it’s 100% that.) Also try to reduce the amount of grains you put on your plate at any one meal. Fill up the void with veggies and/or meat. B. Cut out or greatly reduce your dependence on packaged foods such as chips, crackers, pretzels, pasta, or factory-made bread. C. Cut out all products that contain gluten: any wheat (even whole wheat), barley, rye, or anything that contains these. Just taking these steps will get you feeling much better. Once you’ve adapted to this as a new way of life — NOT a temporary diet — and if you still have health issues you’d like to improve, then you could explore other restrictions. Maybe, like me, you’ll discover new foods to love, lose your craving for sweets and junk food, and start to feel a whole lot healthier! *Note: the above post contains links to my Amazon store, but I only recommend items I’ve tried and loved. If you buy there, I get a smidgen of the price, without affecting your total at all!